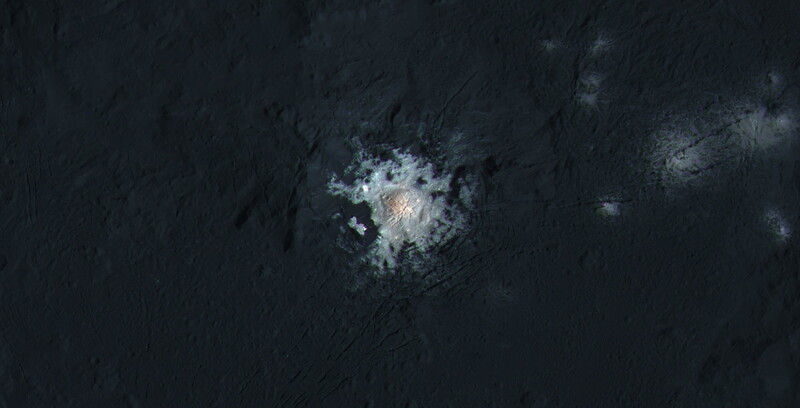 I really don't know what to think about these bright spots on Ceres. A lot of speculation about whether it means there's life on Ceres. I don't know what they mean by that. I guess they aren't talking about intelligent life, rather just some kind of life form. It looks like a giant diamond mound with liquid gold streaming out of it.